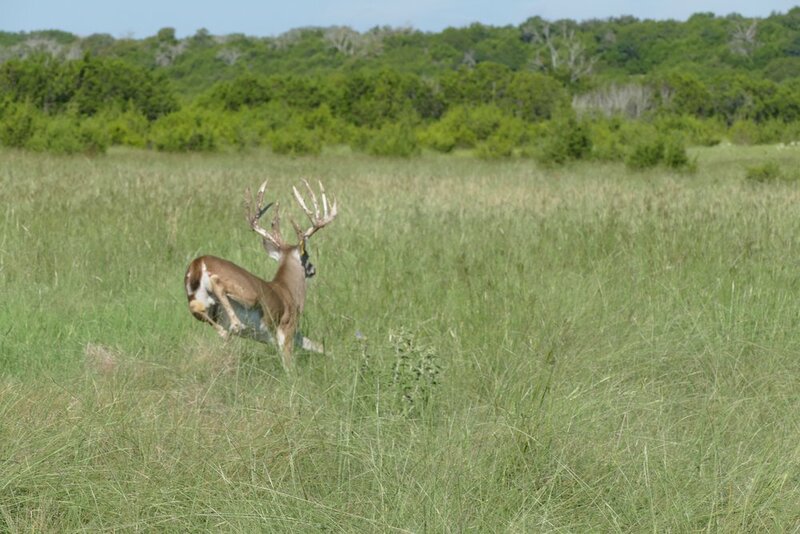 At the KVR, you will experience the thrill of the hunt in quintessential Texas Hill Country terrain which provides the ideal habitat and hunting terrain for Trophy Whitetail deer. 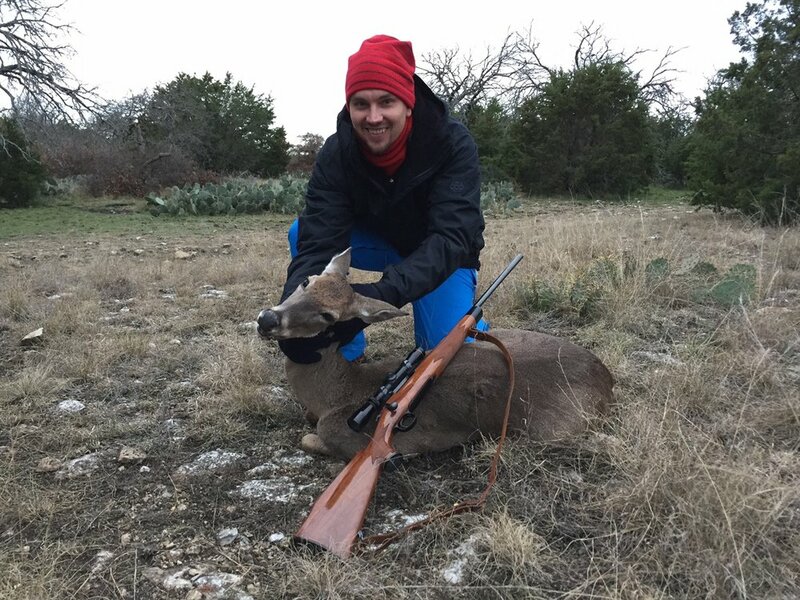 When hunting Texas Whitetail Deer, we typically let our hunters choose the method of hunting that they prefer, if applicable. 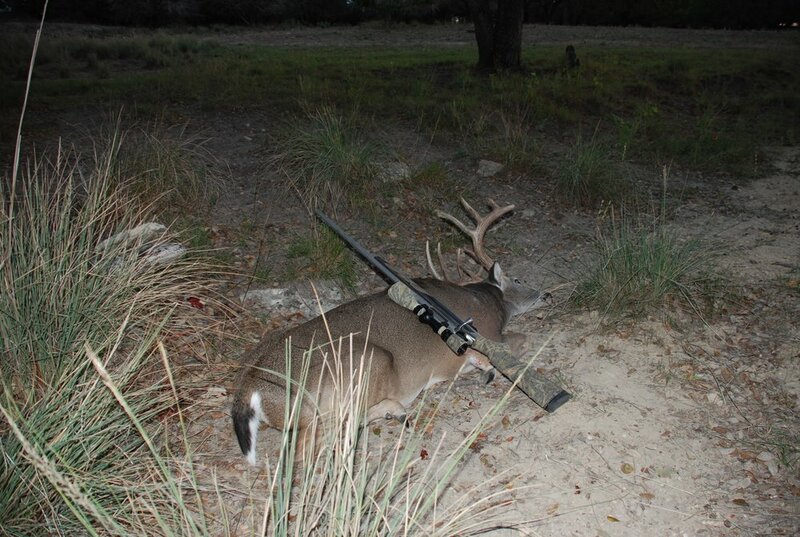 Hunters can choose Spot and Stalk with Bow, Rifle, Handgun or Black Powder. 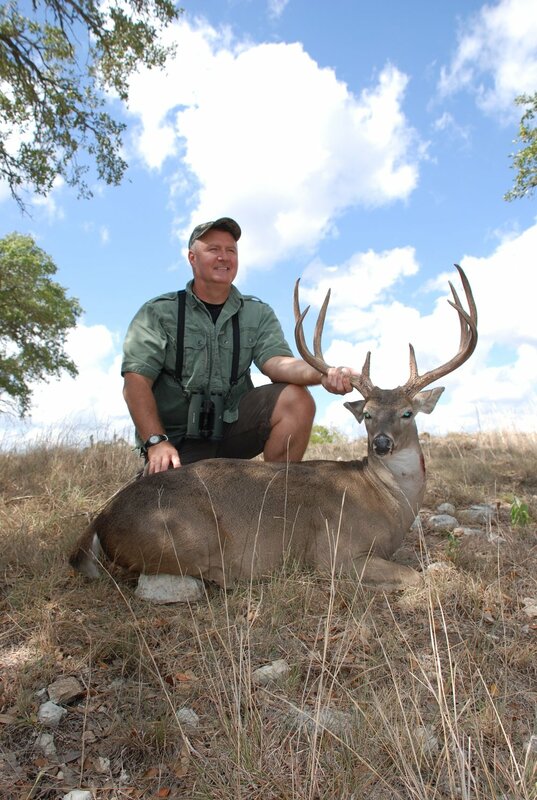 Additionally, hunters may choose Safari Style Hunting as well as traditional Texas style hunting from one of of our EXECUTIVE BLINDS. 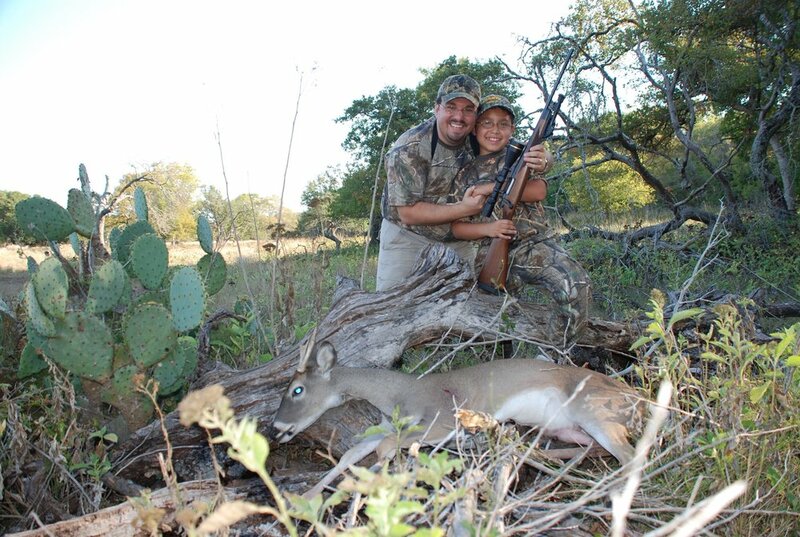 We can accommodate hunters of any age and experience level. 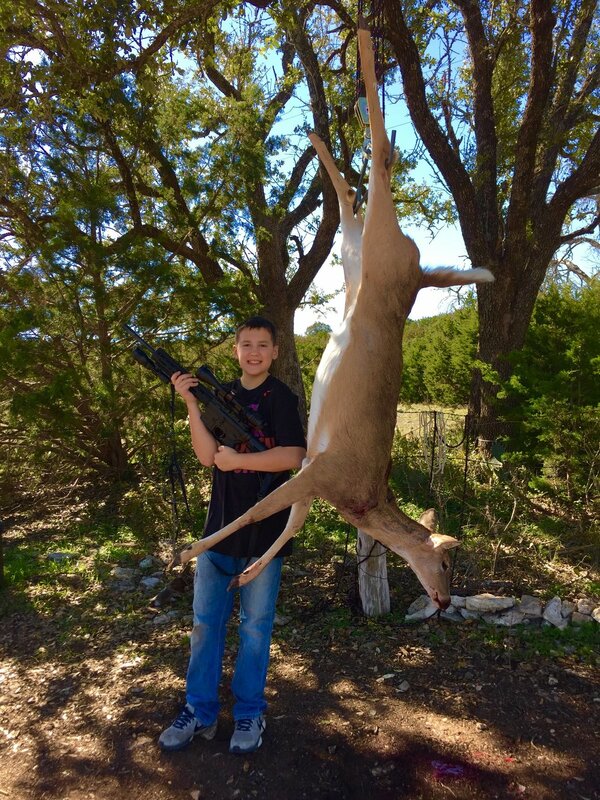 We love to have 1st time hunters of any age join us…we take great pride in helping to educate children and beginner hunters about the ethical responsibilities of hunting. 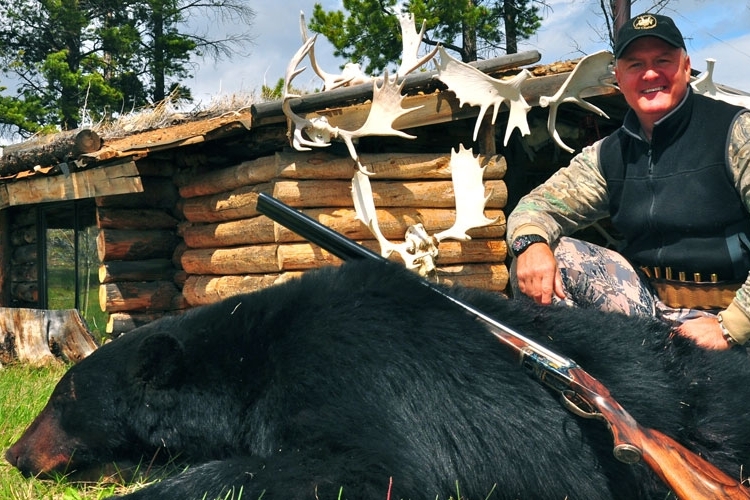 KVR GUIDES DELIVER One of the keys to a successful hunt at the KVR is our guides. These highly skilled individuals will not only put you onto the largest whitetails you may ever encounter, but will also give you the ultimate experience you will remember and stories that will be told and retold over campfires for years to come. From the time you arrive at the KVR, your guide will make sure everything is to your liking. 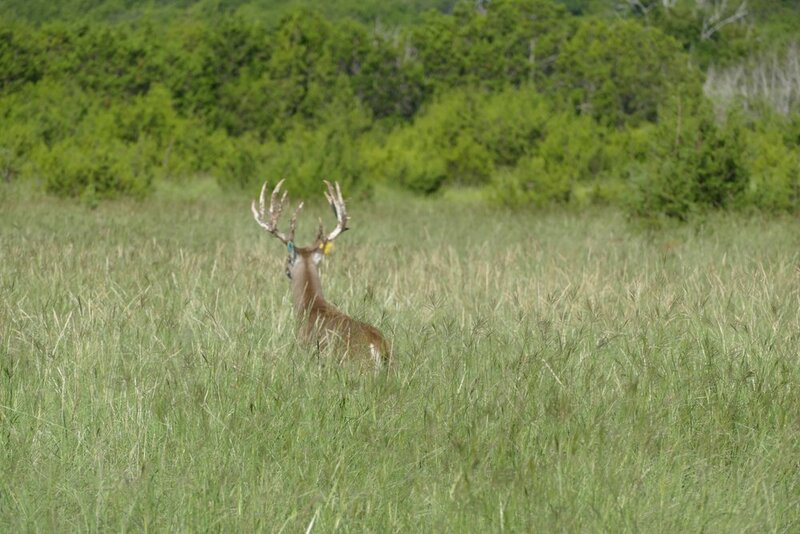 During the hunt, your guide will find the perfect location to harvest the trophy of a lifetime. We want our guests to experience a unique outdoor adventure like no other. 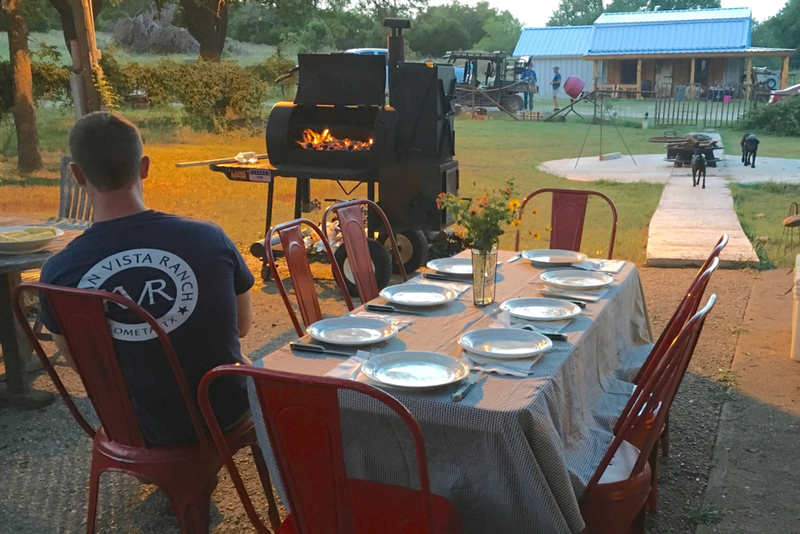 Nestled in quintessential Texas Hill Country terrain, the KVR is certain to give you the tranquility and hunting experience you are looking for. 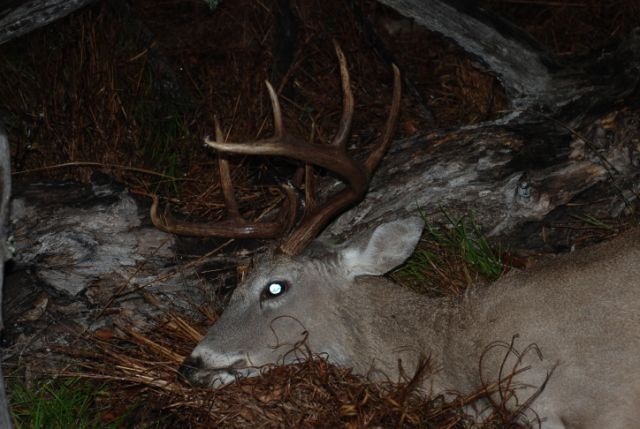 You will be hunting some of the finest trophy whitetail bucks you will come across. 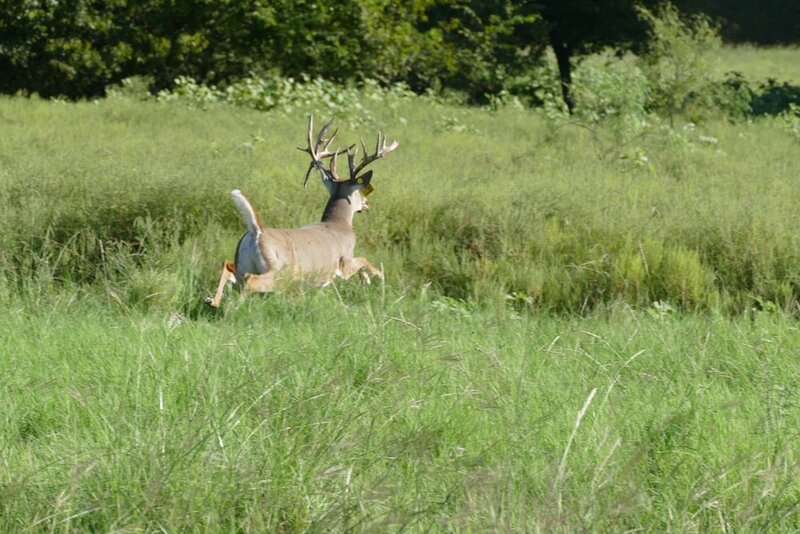 All of our whitetail hunting packages include lodging and meals. Each hunter is personally guided by one of our exceptional guides. KVR’s elevated and ground hunting blinds are guaranteed to provide you with the most comfortable hunting experience available. 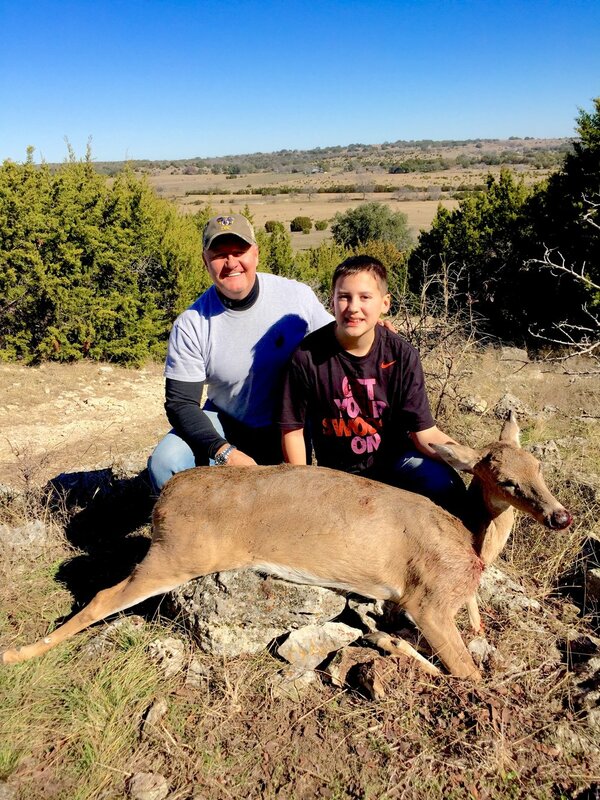 There are numerous state-of-the-art hunting blinds strategically placed throughout the ranch offering excellent shot opportunities for all skill levels. 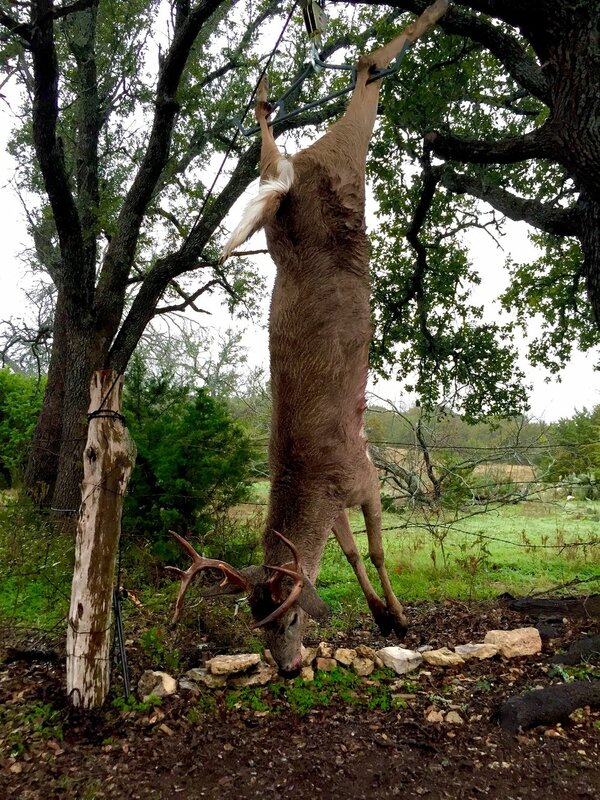 We also provide traditional ladder stands and pop-up blinds (bow and handgun), which are strategically placed for the best shot opportunities in highly trafficked areas. These hunting blinds, together with our expert guides, provide the foundation for a successful, stress free hunt. 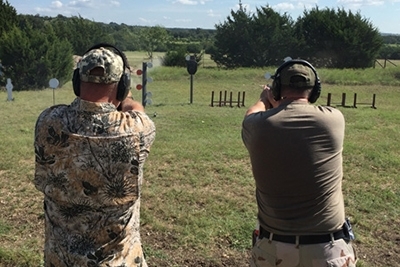 We offer an illuminated outdoor shooting range for hunters who arrive at night and wish to hunt the following morning. In addition to hunting, all guests are welcome to fish our generously stocked catch-andrelease fishing pond that are loaded with Blue Gill, Croppy, Catfish, & Large Mouth Bass. We have picnic tables at the fishing pond for your enjoyment, so relax and enjoy a few hours or a day dipping a line.